Swim rain or shine—or snow—during your party at the Greenville County Aquatic Complex. 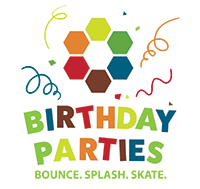 We offer complete party packages at amazing rates to let your loved one celebrate with their friends in the pool or in the Fun Zone. The Fun Zone is a floating playground featuring slides, catapults, and climbing challenges. To schedule your party, contact us at 864-679-7946 (679-SWIM). A $50 non-refundable deposit is required at time of booking. Greenville County Aquatic Complex is available after-hours for private parties, church functions, or social events. Prices vary based on availability and activity. For more information on exclusive rentals, contact ust at 864-679-7946 (679-SWIM). The Aquatic Complex is a Senior Action-approved fitness center. They have standards for senior-friendliness.